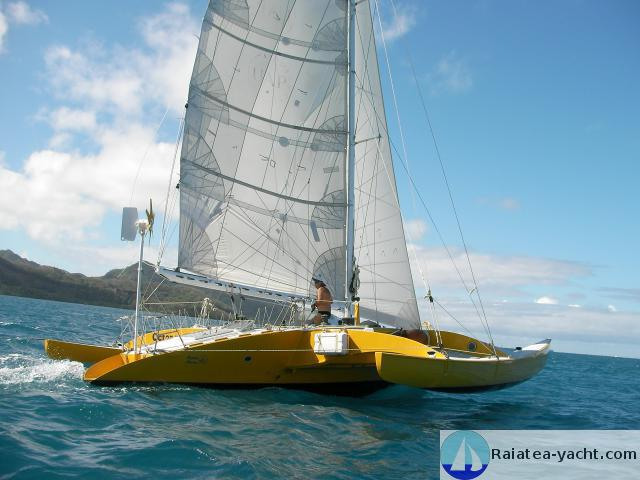 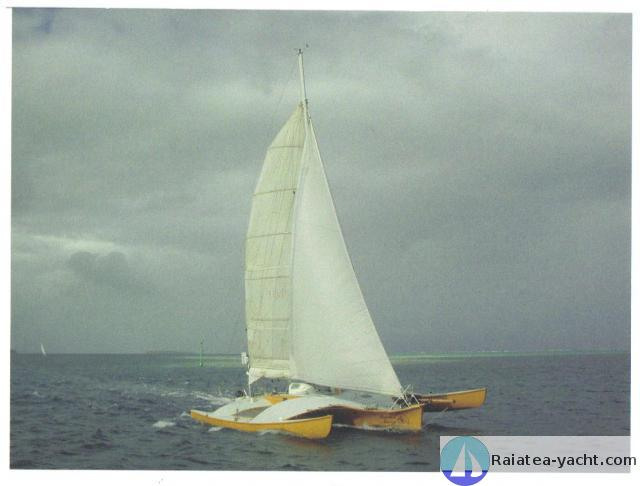 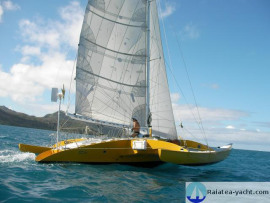 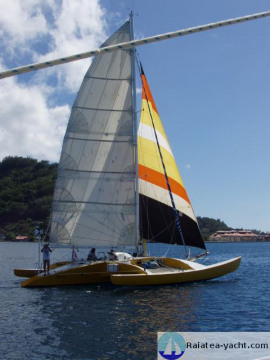 Famous racing trimaran, Newick design. JP3, opening and installation of LEWMAR deck panels, new HARKEN sheet bar, laying an motor YANMAR 3GM30 with sail drive, new genoa Dorleans on furling PROFURL. 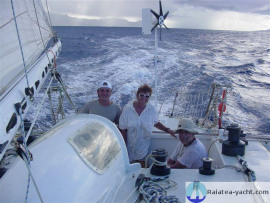 Conveying «La Trinité-Sur-Mer-Martinique-Venezuela-Panama-Galapagos-Tahiti»: 54 days of the sea. 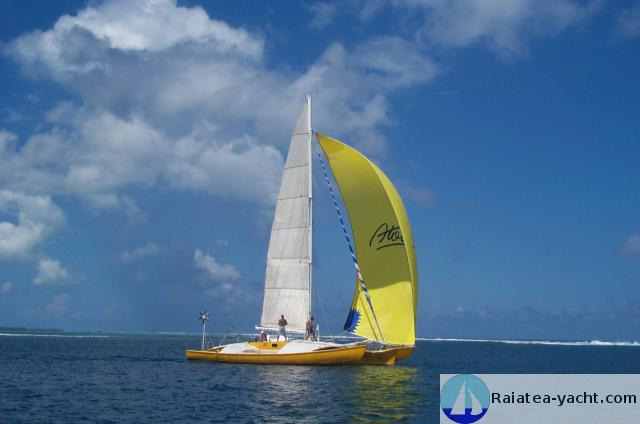 In Tahiti: sponsoring UAP, 7 yeas of day charter in Bora Bora and Moorea, advertisement animations and social actions for UAP. 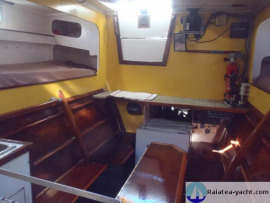 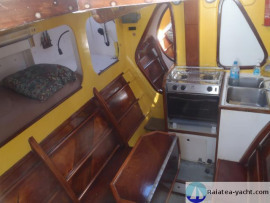 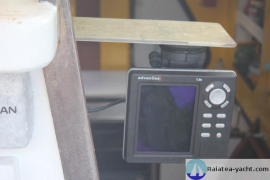 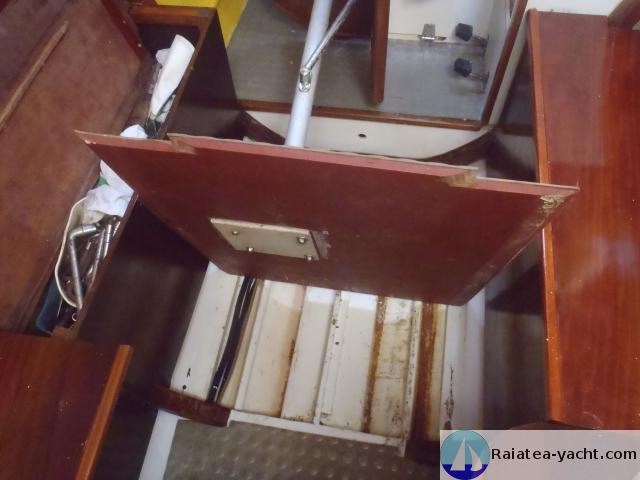 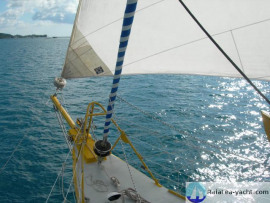 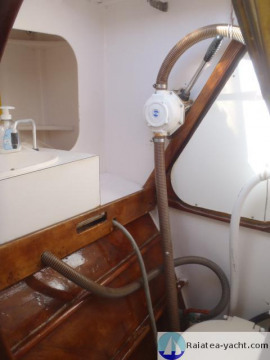 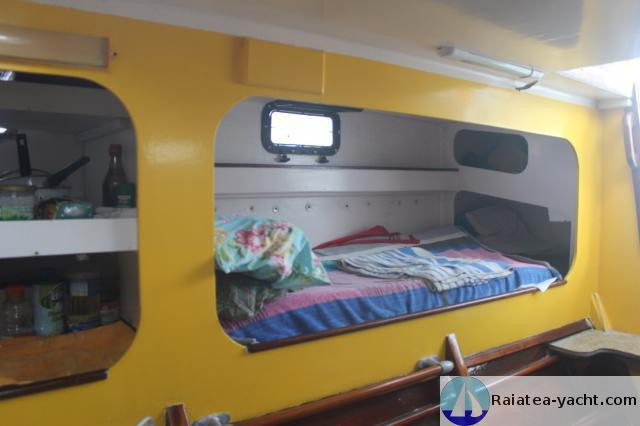 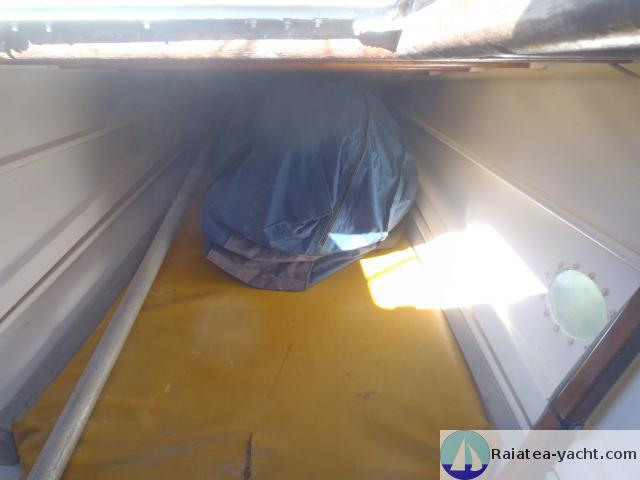 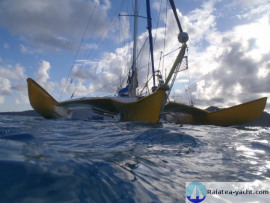 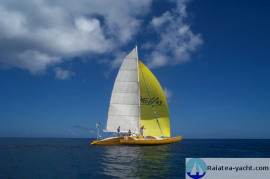 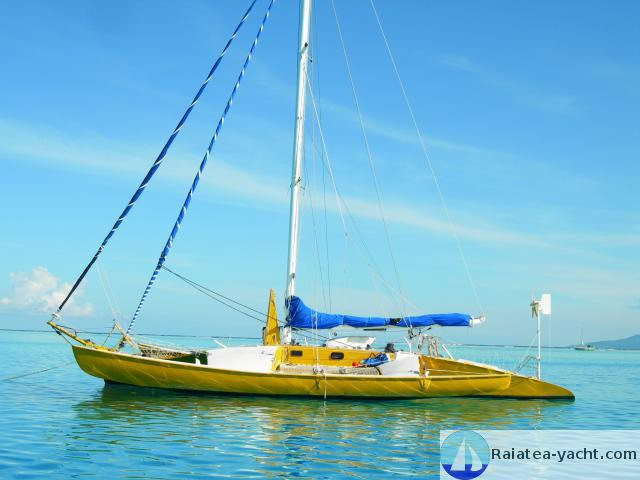 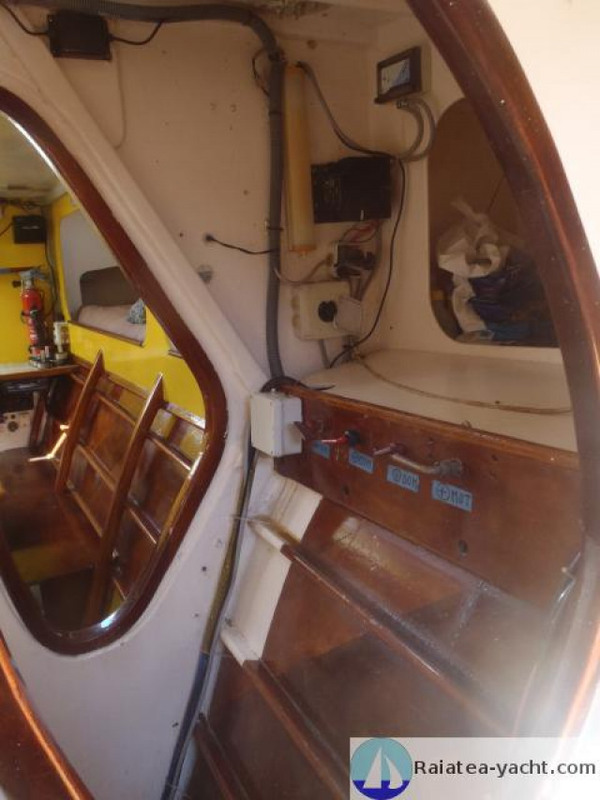 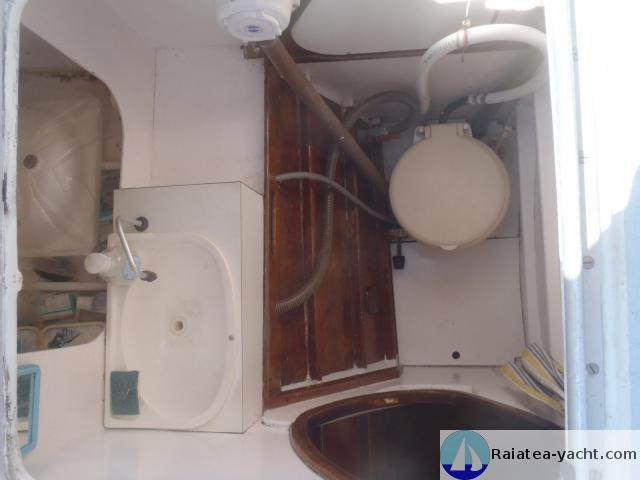 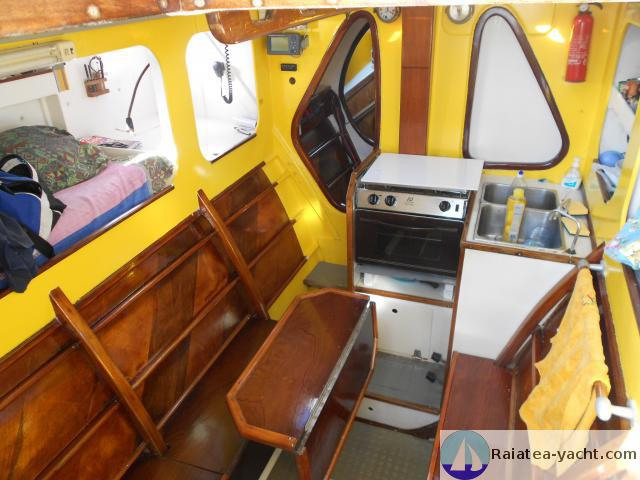 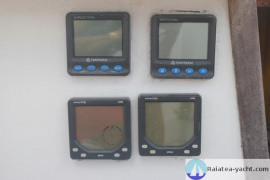 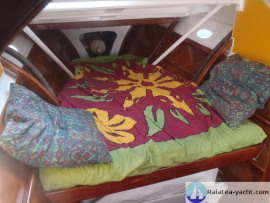 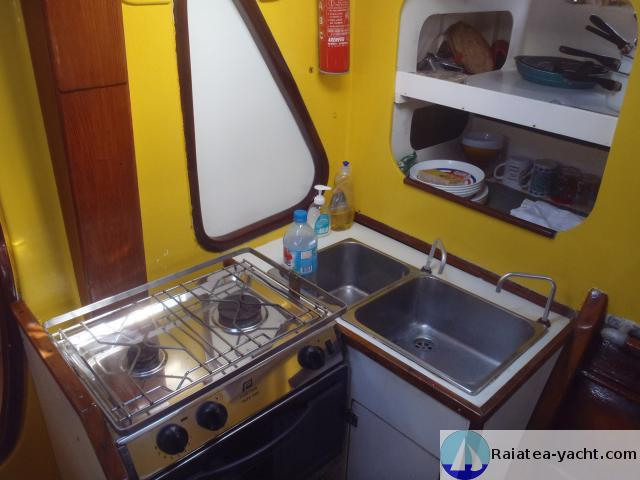 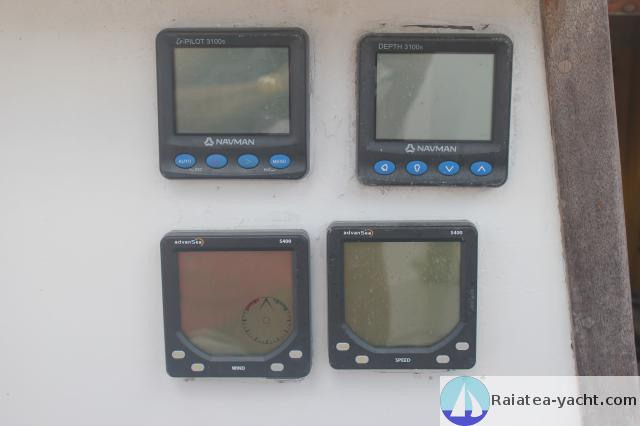 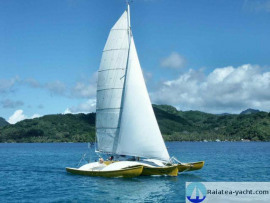 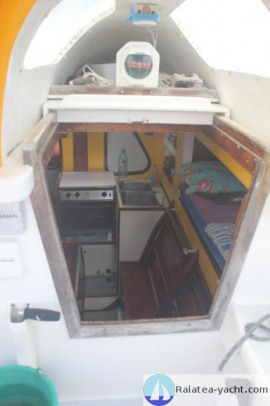 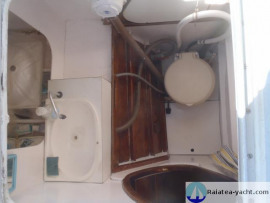 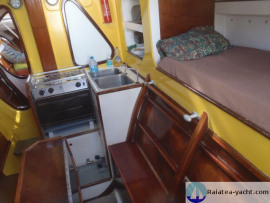 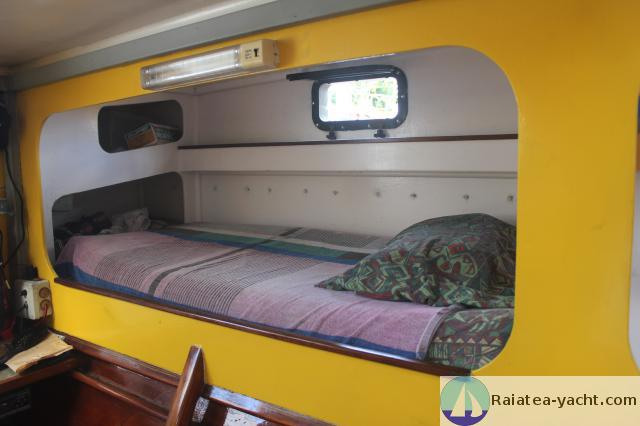 Since 1999 in Raiatea, his owner is the director of the naval Raiatea Marine shipyard, the boat is regularly upgraded. UD Fabric interior reinforcement + epoxy of two floats and pad holders. 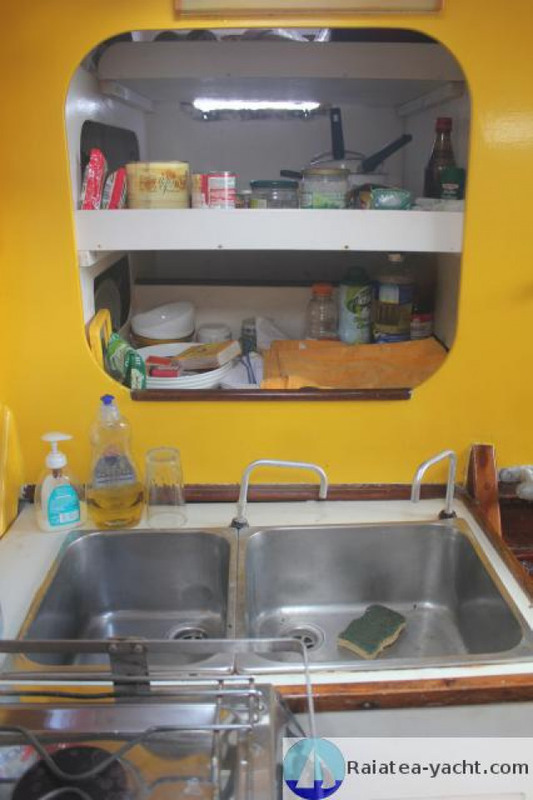 The boat is repainted in yellow, his original color. Change of stays, DYNEEMA laying runner. 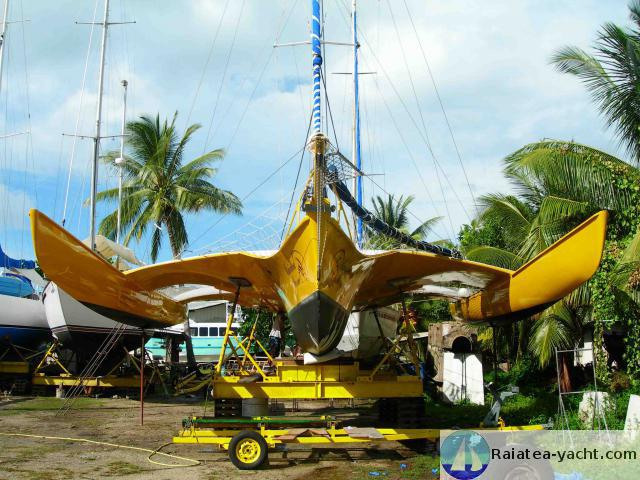 Installation of runnered boom for light genoa on storage and assy spi. New propeller MAXPROP. New winchs for sheet bar. Five years of local regatta. 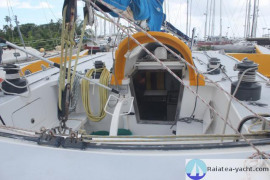 JP3 bearing rudder self-aligning changed.